We learn about life through the lives of others. Their experiences, their trials, their adventures become our schools, our chapels, our playgrounds. Christian Encounters, a series of biographies from Thomas Nelson Publishers, highlights important lives from all ages and areas of the Church through prose as accessible and concise as it is personal and engaging. Some are familiar faces. Others are unexpected guests. Whether the person is Galileo, William F. Buckley, John Bunyan, or Isaac Newton, we are now living in the world that they created and understand both it and ourselves better in the light of their lives. Their relationships, struggles, prayers, and desires uniquely illuminate our shared experience. Emerging from the same Florentine milieu that produced Dante, da Vinci, Machiavelli, Michelangelo, Amerigo Vespuci, Galileo questioned with a persistence that spurred his world toward an unabating era of discovery. 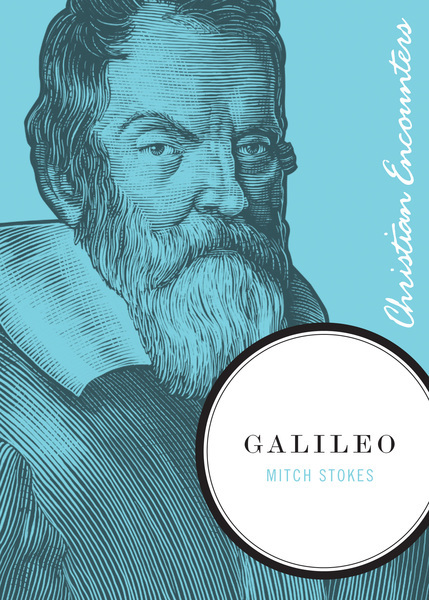 Stokes confronts the myth that Galileo's stance on heliocentricity stood astride a church vs. science divide and explores his calculations for the dimensions of Dante's hell, his understanding of motion, and his invention of the pendulum clock.